Tech billionaire Elon Musk has announced the winners of a competition to test the first phase of the proposed Hyperloop - a futuristic transport tube. Teams from the Massachusetts Institute of Technology, Delft University in the Netherlands and the University of Wisconsin are among those that have secured their chance to build and test their pod designs for the Hyperloop. Musk made a surprise appearance at a two-day engineering camp on the weekend to make the announcement. Over 1,000 students from 120 colleges and high schools across 20 countriesd travelled to the Texas A&M University campus for the two-day design competition sponsored by SpaceX. Twenty-two student teams advanced to the second round after the event, where they will begin to build and test their creations at the private space company's California headquarters. But so as not to miss any last-minute innovations, SpaceX says an extra three to 10 teams will also qualify in coming weeks to join the upcoming camp. 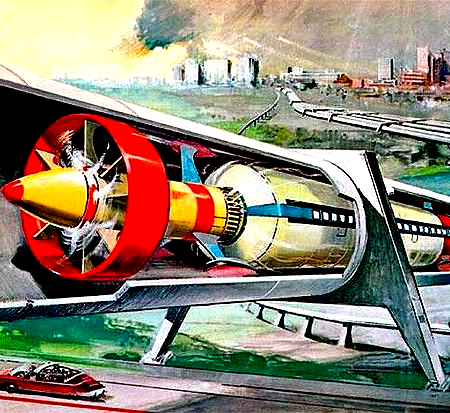 Musk first unveiled the vision for the future of transport in 2013. The idea would see capsules hurtling on a cushion of air at over 1,130 kilometres per hour. Musk and the students helping with the project so far say an entirely new approach to moving people and goods is needed. “All of the other transportation systems - cars, planes, trains, boats - run on fossil fuels,” said Rorisang Posholi, a 20-year-old-student from the University of Pretoria in South Africa. “I was initially skeptical of the idea, but we are thinking of doing some research on it,” said US Transportation Secretary Anthony Foxx, after giving the event's keynote address.